This is one concert you don't want to miss...God is ready to meet with His people!!! Attendance is Free but YOU HAVE TO REGISTER in order for you to get more information and instructions on how to adequately prepare to meet with our Unlimited God and get all that He has planned for you to have & experience. If you have children ages 5 & above, kindly register them and bring them along on the 25th. We believe that the Father wants the children to have personal encounters with Him and so we have special sitting for them. Pre-teens and teenagers can sit with their parents/guardians. 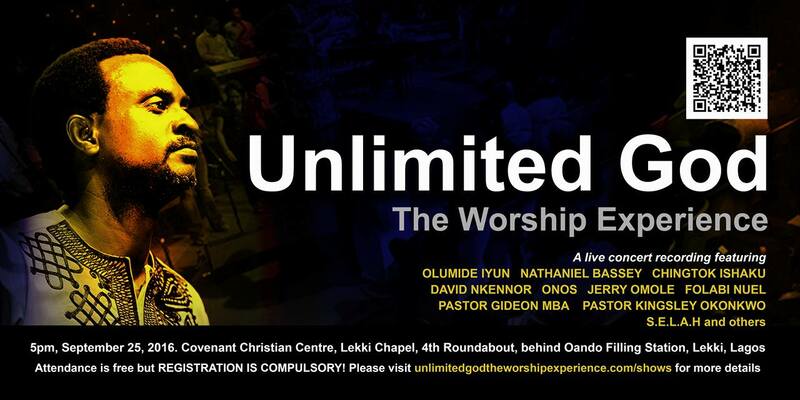 To register, please visit: click on the link "Unlimited God: The Worship Experience"
I'm glad I came across this official site and was able to watch this unlimited God worship experience which has totally lifted my spirit. I think people should be more open in watching such videos to inspire and lift their spirits as well.